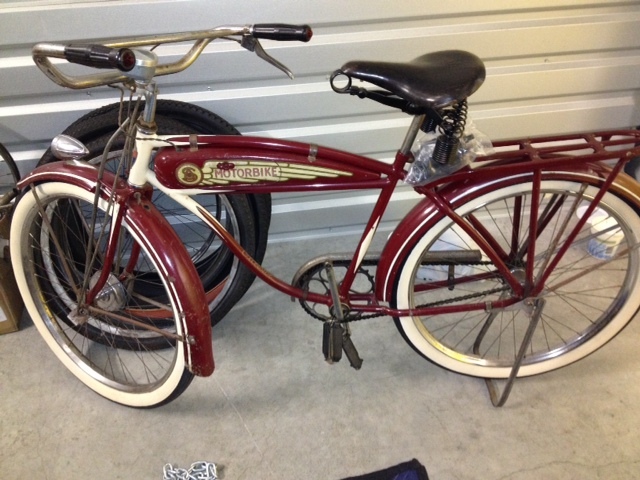 This is my 1937 Schwinn Motorbike excelsior. This bike is all Original. 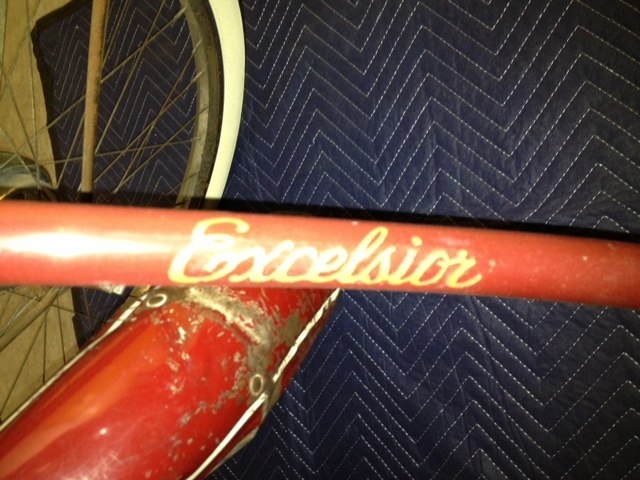 came with a nice Stewart Warner Clipper speedometer and Excelsior decal on the down-tube. 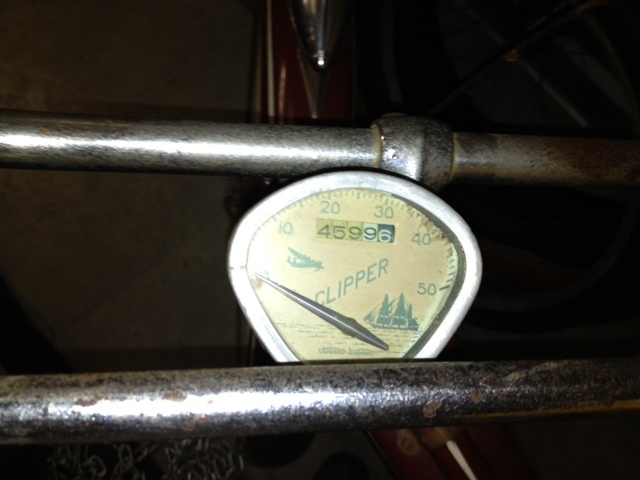 In 1937 you typically don’t see a drop stand on a ’37 Schwinn, but there are no marks that show a Miller side-stand having ever being installed. Another great riding bike.